Find huge deals in Swiss Alps, Switzerland that you may book now & pay later! 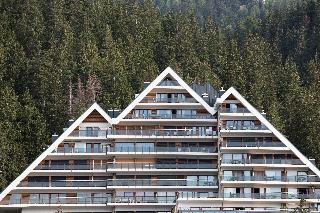 Best prices for in Swiss Alps, Switzerland. A dream vacation for you and your family, guaranteed by our travel consultants. For members-only deals, we recommend using the new filter for deals in Swiss Alps, Switzerland. 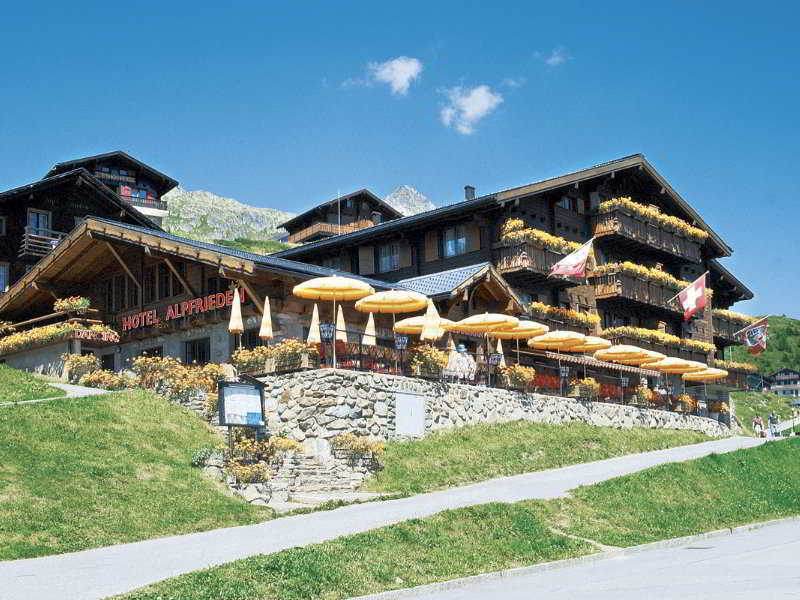 This 4 star hotel is located in the city centre of Grindelwald and was established in 1900. It is close to the Eiger and the nearest station is Grindelwald. The Hotel has 2 restaurants, a bar and a coffee shop. All 48 rooms are equipped with minibar, hairdryer, safe, trouser press and ironing set. 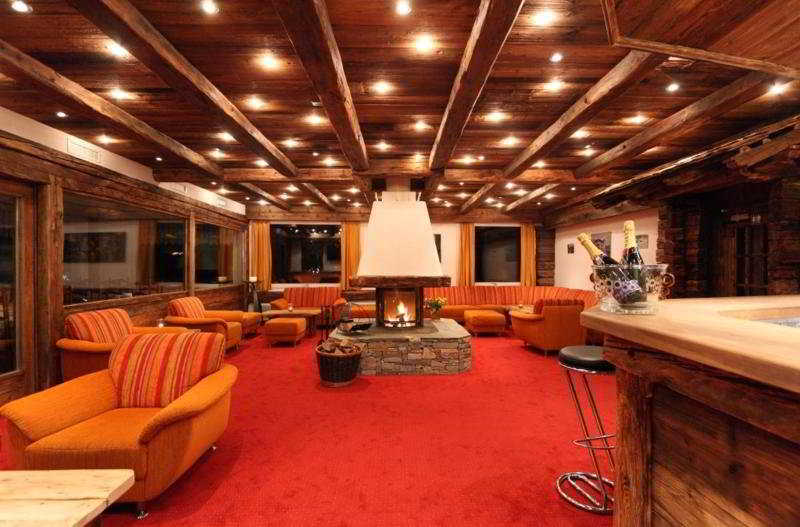 This 3 star hotel is located in the city centre of Grindelwald and was established in 1960. It is 20.0 Km from the Interlaken and the nearest station is Grindelwald. The Hotel has 2 restaurants and a conference room. All 40 rooms are equipped with minibar, hairdryer and safe. 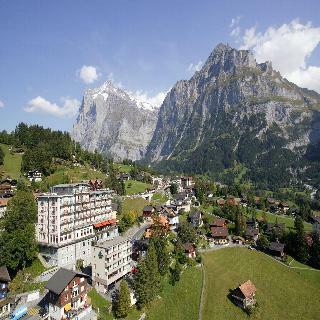 This 4 star hotel is located in the city centre of Wengen and was established in 1930. It is 20.0 Km from the Männlichen. The Hotel has a restaurant, 2 bars, an indoor swimming pool, an outdoor swimming pool and a fitness centre/gym. 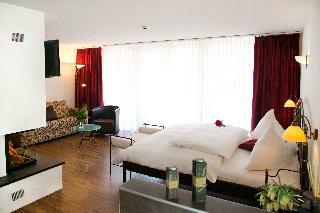 All 67 rooms are equipped with minibar, hairdryer and safe. 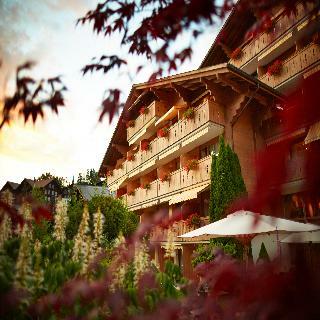 This 4 star hotel is located in the city centre of Grindelwald and was established in 1899. It is a short drive away from the Jungfrau Joch and the nearest station is Grindelwald. The Hotel has 3 restaurants, 2 bars, a conference room, a coffee shop and a fitness centre/gym. All 44 rooms are equipped with minibar, hairdryer and safe. 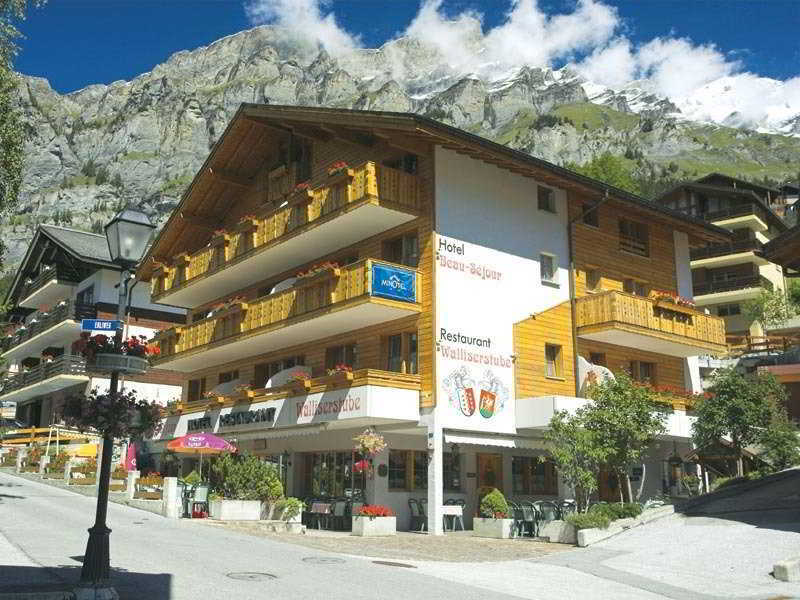 This 3 star hotel is located in the city centre of Grindelwald and was established in 1992. 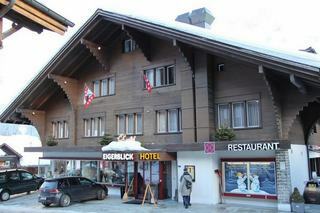 The Hotel Eiger has been owned and managed by our family since it was built in 1886. It has been extended, completely renovated and at the same time upgraded. Today, the Hotel Eiger is an attractive first-class hotel with a friendly atmosphere and a personal touch. 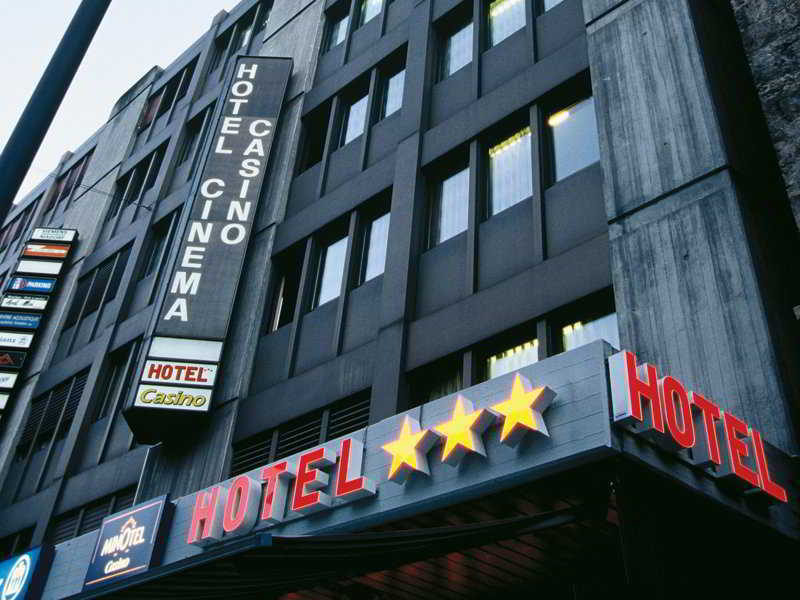 This 4 star hotel is located in the city centre of Engelberg and was established in 1962. 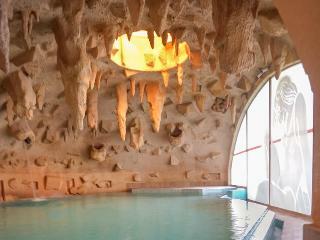 It is a short drive away from the Mount Titlis and the nearest station is Engelberg station. The Hotel has a restaurant, a bar, a conference room, an indoor swimming pool and a fitness centre/gym. All 55 rooms are equipped with minibar, hairdryer and safe. 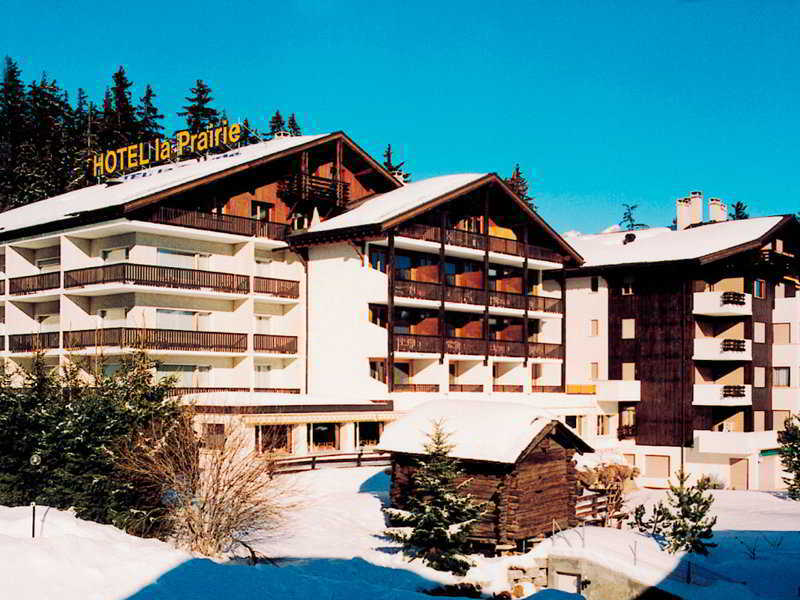 This 3 star hotel is located in the city centre of Murren and was established in 1989. 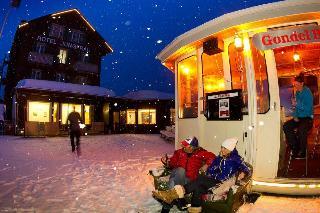 It is a short drive away from the Schilthorn and the nearest station is Murren BLM. The Hotel has a restaurant, a bar, a conference room, a coffee shop, an indoor swimming pool and a fitness centre/gym. All 30 rooms are equipped with hairdryer. 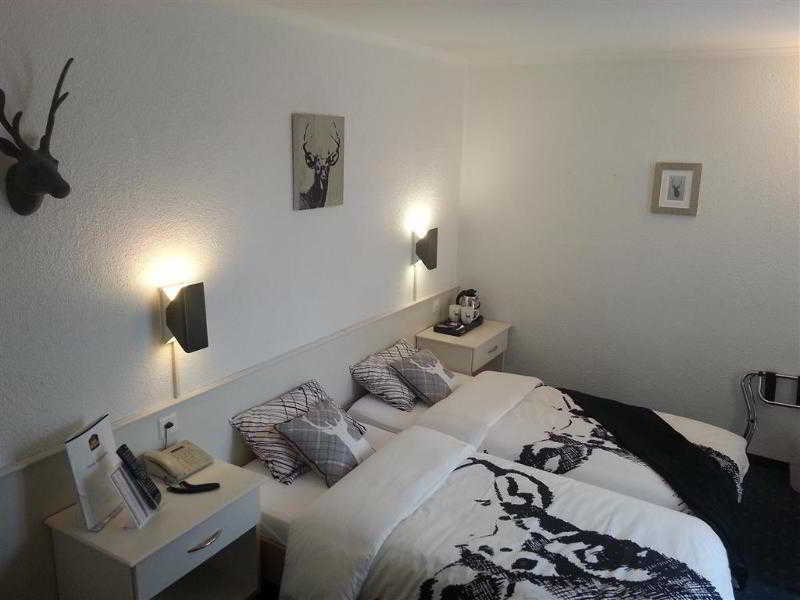 This 4 star hotel is located in the city centre of Wengen and was established in 1894. 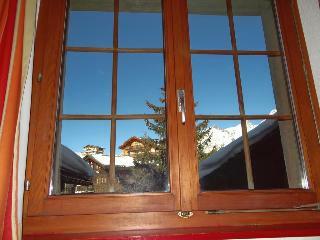 It is a short drive away from the Jungfraujoch and the nearest station is Wengen. The Hotel has 3 restaurants, a bar, a conference room and a fitness centre/gym. All 100 rooms are equipped with minibar and hairdryer. 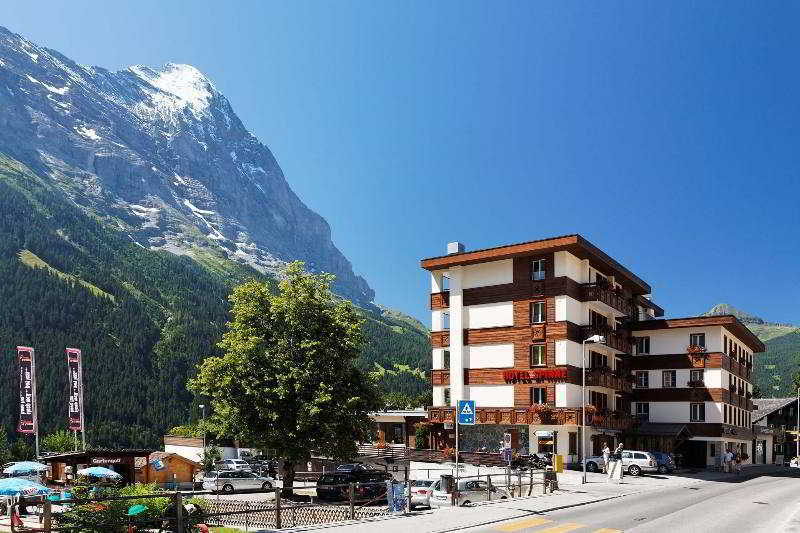 This 3 star hotel is located in the city centre of Grindelwald and was established in 1900. 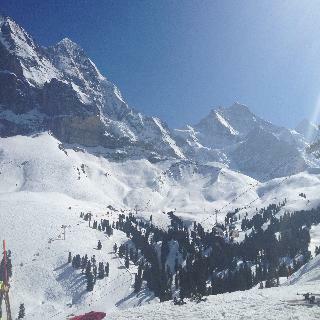 It is close to the Eiger and the nearest station is Grindelwald. The Hotel has 2 restaurants, a conference room and a coffee shop. All 42 rooms are equipped with minibar, hairdryer and safe. 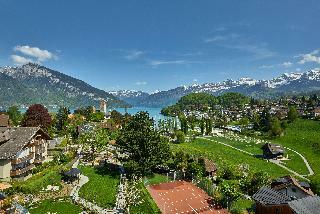 The Hotel Eden is situated in Spiez and features a gym, spa centre and an indoor swimming pool. The elegant rooms at the Hotel Eden offer hardwood floor, minibar and a work desk. You can unwind in the sitting area and enjoy the views of the mountains or the lake from your balcony. 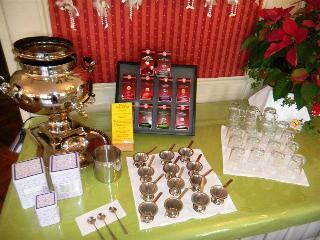 The restaurant serves seasonal specialties made mainly with organic products. 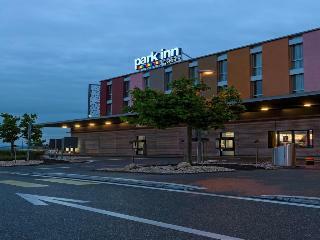 This 4 star hotel is located in the city centre of Thun. It is close to the n/a. The Hotel has a restaurant. 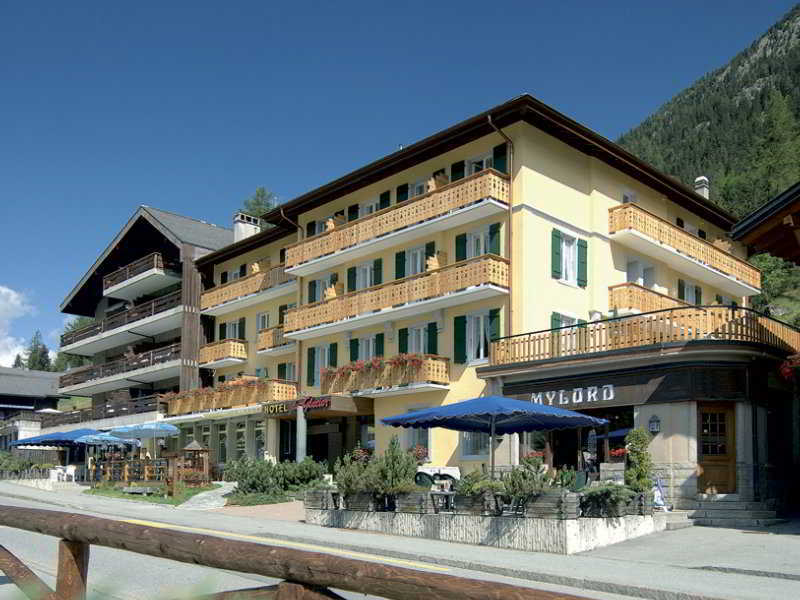 This 4 star hotel is located in the city centre of Leukerbad and was established in 1625. It is 40.0 Km from the Sion and the nearest station is n/a. The Hotel has 2 restaurants, a bar, an indoor swimming pool, an outdoor swimming pool and a fitness centre/gym. All 126 rooms are equipped with minibar, hairdryer and safe. The Hotel Gstaaderhof is your cosy family and holiday hotel in chalet-style with generously-sized comfortable rooms in a peaceful location. Complimentary wellness area available and situated near the village centre and mountain railways. Free pick-up service from the railway station. 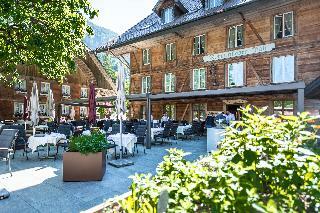 Welcome to the Hotel Grichting-Badnerhof in Leukerbad! This family owned and managed hotel is the place to relax in a natural environment where enjoyment and well-being are combined to form a comfortable and pleasant oasis. Our aim has always been to offer our guests an elegant and rustic atmosphere, yet with attentive service. Upon your arrival, our team will be there for you to make your experience with us wonderful and unforgettable. 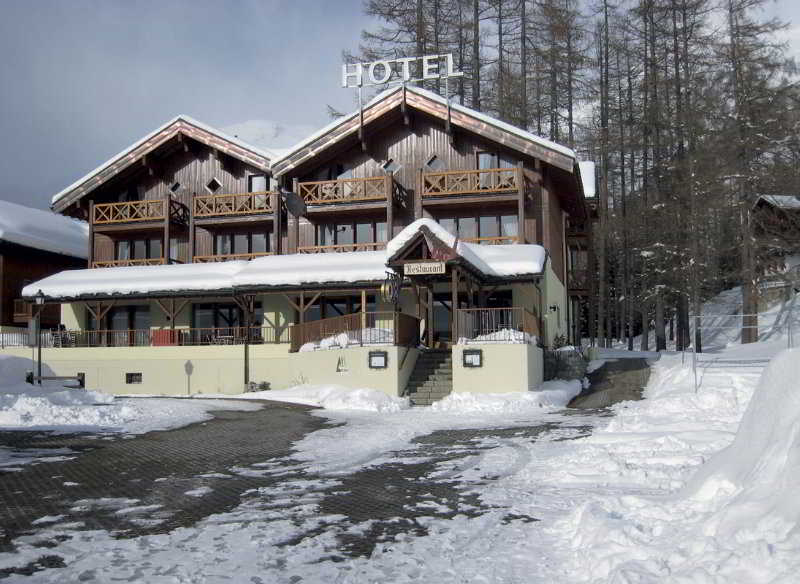 This 4 star hotel is located in the city centre of Saas Fee and was established in 1992. It is a short drive away from the Allalin mountain and the nearest station is n/a. The Hotel has 2 restaurants, a bar, a conference room, an indoor swimming pool and a fitness centre/gym. All 45 rooms are equipped with minibar, hairdryer, safe and ironing set. The BEST WESTERN Hotel Bernerhof is a middle class hotel, situated in the centre of Interlaken, only a few steps from the train station. The hotel is an ideal starting point for excursions to the Jungfrau region. 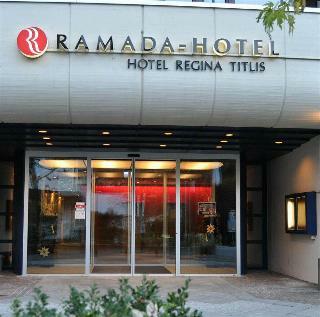 We have a breakfast room, lounge, multilingual staff, foreign currency exchange and outdoor parking. 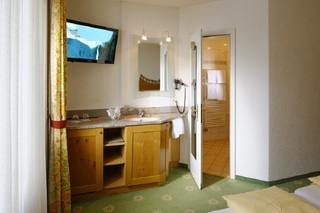 Our rooms feature remote control cable television, iron and ironing board and a hairdryer. Enjoy your stay. 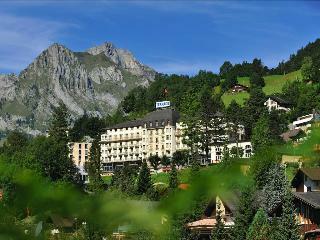 This 4 star hotel is located in the city centre of Wengen and was established in 1898. It is 20.0 Km from the Männlichen and the nearest station is Wengen. The Hotel has a restaurant, an indoor swimming pool, an outdoor swimming pool and a fitness centre/gym. All 40 rooms are equipped with minibar, hairdryer, safe and ironing set. 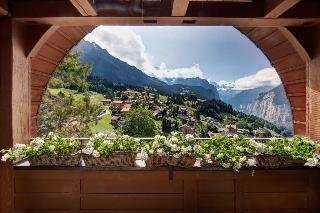 This 3 star hotel is located in the suburbs of Wengen and was established in 1912. It is 20.0 Km from the Männlichen and the nearest station is Wengen. The Hotel has a restaurant. All 62 rooms are equipped with hairdryer, safe and trouser press.